The rush to adapt as many young adult books as possible in order to compete with The Hunger Games is ongoing, with offerings this year including the mediocre Divergent, the admittedly-affective The Fault In Our Stars, and the one that absolutely no-one remembers (The Giver? Anyone? It had Jeff Bridges in it? Oh, never mind…). 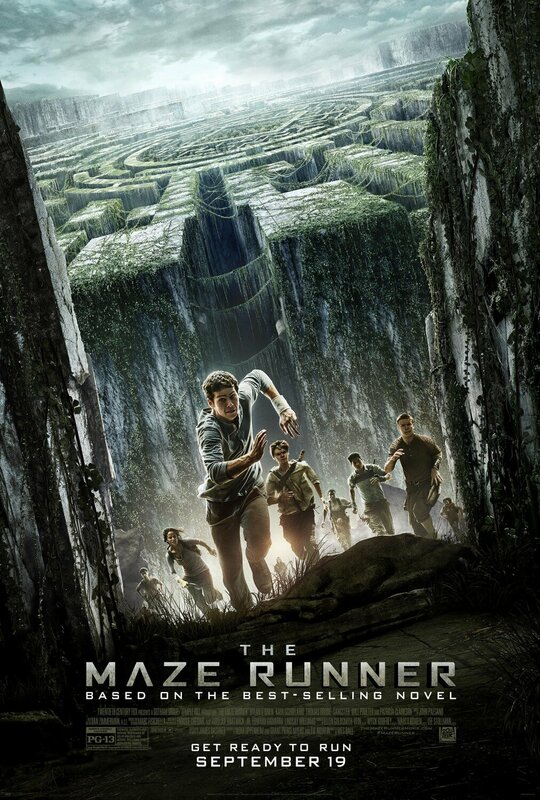 The latest addition to the roster, The Maze Runner – based on the first book in author James Dashner’s trilogy – is definitely up there with the better attempts, adding a surprising amount of maturity and intrigue to its unique story as well as a number of truly suspenseful moments. Perhaps the starting-off point for the latter is, well, the film’s own starting-off point – it wastes no time in introducing us to our main setting and characters, almost instantly establishing a connection which would have taken another film at least twenty minutes just to set up. By the time the title card appears, we know who our protagonist/audience surrogate is and we have a rough idea of where we are. You have to give the filmmakers a little bit of credit for at least making us want to know what the hell is going on, given how soon we have been introduced to these elements. In particular, director Wes Ball – making his feature debut here – definitely shows signs of passion toward his craft thanks to exciting action sequences (even if most of them are made nearly impossible to see thanks to the dreaded shaky-cam motif) and ability to manoeuvre around the clunky and clichéd dialogue (we believe someone said something along the lines of “We’re going to get through this maze, or die trying”, which is instant cause for much cringing). However, Ball does fall victim to some traps designed for anyone making their directional debut; as before, the shaky-cam is extremely irritating especially when you’re trying to watch the action, and not helping matters is the fact that most of it is set at night, making things even more difficult to make out. All in all, Ball handles things to a serviceable degree if not entirely competent. If there is one element that helps Ball succeed is his ability to give the characters enough room to breathe and establish themselves as interesting players. Leaving one of the stronger impressions in the young cast is Will Poulter as a tough rule-follower who in other hands would have just been a one-dimensional bully, but Poulter brings a sense of internal fear and pathos to the guy. He is in no way sympathetic but at the same time you get the sense that he truly cares for the well-being of his fellow people; it’s just the fact that he wants to enforce his opinion is what makes him the closest to a true villain in this film. As for other cast members, Thomas Brodie-Sangster – who we’re convinced made a deal with supernatural forces to retain his youthful face – makes a likable ally and Aml Ameen pulls off the leader role with a few of his own qualities thrown in as well, though Kaya Scodelario, as the sole female in the young ensemble, arrives a little too late in the film to make as strong an impact though she handles her scenes okay. Now we come to the main protagonist, Discount Logan Lerman Dylan O’Brien as wide-eyed Thomas. Normally, the main character being about as interesting or deep as sandpaper would be a major problem especially for something intended to start a new franchise, but oddly enough it kind of works here. We are told early on that he remembers absolutely nothing about himself other than his name (which itself only comes in a little later), so he is already a blank slate when we first meet him and as we follow him throughout the film. It’s thus hard to truly complain about his character not being particularly strong or interesting because it’s how the story designed him in the first place. It’s one of the few instances where it works to the film’s favour, and that’s quite rare these days. We will say also that it does not end itself in the most rounded or satisfactory conclusion – there are still many unanswered questions left to be revealed, and it feels as though it completely stops just as it begins to get more and more intriguing. It’s the kind of ending just begging for a sequel… and, sure enough, follow-up The Scorch Trials is coming in about a year’s time which will supposedly go further into this world we’ve been introduced to. But imagine if The Maze Runner hadn’t manage to warrant a sequel – boy, wouldn’t that have been an awkward finish to an otherwise decent movie? 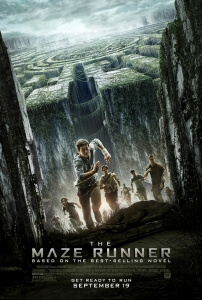 The Maze Runner is one of the better young-adult adaptations to face The Hunger Games, thanks to a cast of characters that are well-handled and interesting as well as the raising of interesting questions. However, the lack of a satisfying ending doesn’t make it a strong standalone film, and forces us to wait another year for more.